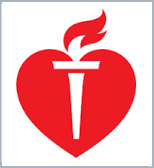 We are an approved American Heart Association training site and Training Center Faculty. Since our establishment in 2006, we have been offering non-stress and reasonably priced courses for CPR and basic to advanced medical training for the public, emergency services, healthcare profession, and corporate/private business organizations. We are an approved CEU provider for the State of Florida under #50-14557. We are also an authorized Philips Brand and Defibtech Brand Automated External Defibrillator (AED) distributor. Here at Community Health Certification LLC, we are committed to providing you the most up-to-date courses for your initial certification or re-certification. We are an approved American Heart Association training site and Training Center Faculty. All instructors are well-versed and up-to-date with the latest materials and guidelines for all classes offered. We come to you at your location and at your convenience. Our company works around your schedule to help accommodate everyone that needs certification. CHC does require a minimum number of participants in order for an instructor to perform a certification course on-location. Please contact us for further details. At CHC, we understand how valuable your time is. That’s why we offer online courses for you to take at your convenience. Visit onlineaha.org to take the online portion of certain American Heart Association courses. CHC researches and develops courses that go through a rigorous approval process with our company’s medical director to make sure that the material delivered to you is the most up-to-date. CHC can develop innovative and customized courses on a particular subject matter for your company or department to enhance your employee training. We will diligently research the material to make sure our instructors deliver the most up-to-date information. Pricing is based on an hourly research rate. Please contact us for details.